Starting a business is a big achievement for many entrepreneurs – but maintaining one is sometimes an even larger challenge. 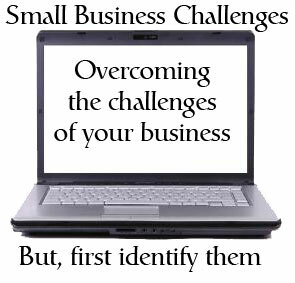 Some of the challenges faced by small business owners are actually ones that every business has to face, but they can be easily solved. But there are other challenges that are faced continuously by small businesses and entrepreneurs. Business owner fatigue is often a cause for concern. With a small staff, many business owners simply work too many hours and do not take the time to rest and recharge. Even small businesses with a competent and dedicated staff will often prevent an owner from taking time off – because the owner feels that the business will encounter problems in his or her absence. It is common that when fatigue sets in, the weariness of the long hours can lead to bad business decisions, including ones that can cause the business to encounter further challenges that could have been avoided. Often, this comes early in the business start-up, but will mostly happen in times of challenges and growth. The key to overcoming small business owner fatigue is to find a work pace that keeps the business working, without grinding down the owner or key staff members. Many small businesses suffer from owner (or founder) dependence. This dependence is often caused by the owner being unable to let go of making certain decisions and letting others take on more responsibilities as the business grows. Small business owners that are trying to achieve growth, need to learn what roles they can hand over and what ‘hats’ they should still continue to wear. Another key challenge is having a diverse client base. Relying on just a few customers to make up the majority of your business income can stifle growth – because the dependence on those clients will cause a business to over-focus on those main clients and not dedicate time on acquiring new ones. Having core clients is not a bad thing, if those clients pay well and pay on time. Having dependence on a few customers cannot only hinder growth, but it can also cause business problems if these core customers fall on rough times and cannot afford your product or services. Small business owners need to satisfy the needs of core customers, while also working with new clients in order to build stability in their business. Seasonal demand or fluctuating patterns of demand can be difficult for a small business to budget and allocate resources to. When it comes to office space, having a flexible office space provider is important. For the months where more space is needed, having office space at at a business centre that offers temporary office space (without the need for a long-term contract) is important when that space is no longer needed.